The iPhone is a fragile thing with its glass panel, but while you can replace even a broken panel, there’s little you can do for your precious device if it gets dropped in water. And with the business of reselling used iPhones and iPads growing huge, Apple is now adding a valuable patent for a detector that will make it easy to see whether a phone was dropped in water or not. That’s of particular value for repair stores and those trying to estimate the cost of repair of a device. The sensor will be put inside the device and give "at least one visual indication after being immersed in water." Thus Apple will protect itself better as a customer with an iPhone with water damage won’t benefit from the company’s insurance that doesn’t cover this type of damage. Also, Cupertino will smartly place the sensor so it will be easy to see from the outside whether the device has suffered from water damage or not. Now, that Liquid Contact indicator patent has been filed in 2010, but making it visible could save the company a lot of money for repairs. 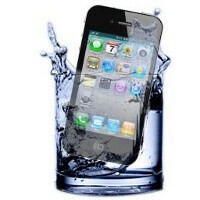 "Water exposure is among major reasons that may cause significant malfunction of devices, such as electronic devices, which include electronic, mechanical, or chemical components," Apple explains in the patent filing. "Therefore, verification of significant water exposure (or water immersion) is important to manufacturers of the devices. For example, for purposes such as warranty claim assessment, trouble-shooting for repairs, and product development, a manufacturer of electronic devices typically needs to verify whether a malfunctioning device has been immersed in water." The thing I really want from apple is for them to make their phones more hardy. So basically one of the highest profiting phone companies is trying to save money because......? They have billions in reserves. Why not pass some of the wealth to your loyal customers and make repairs cheaper/easier? Instead they are making figuring out water damage easier to pass some cost to the customer......I don't get you Apple. when I mention about the rappers I was using sarcasm.. dont know any rappers..if they do oro do not... my point was that we all work hard for our money,...and we should not be told what to do with it. Human nature, always wanting more. It's never enough. Nice avitar. Lord Stark should never have been killed off! Just my two cents! I hope its either Robb or Ayra Stark that gets to do it. Or even better...one of the wolves. I hate that little rodent Joffrey! Great! Now I can shower with my iPhone and my rubber ducky. From what I know the indicator currently resides inside the bottom of the headphone jack. are they going to add another one? Apple screwing its customers again. Now even little water can trigger the detector. Hell, even the iPod Nano Gen 4 - 6 (6 more so) will get "water damaged" when you use it during a workout... kind of defeats the purpose of those small devices. A sign of further greed from the fruit. Stupid apple. They put time on how to make them easy on arguing with customers and saving money, why they don't put time on how to invent an iPhone resistant to water. Nano coating has been using for a few brands. Why not apple? Oh yes, apple wants its products not as hard as a nut. Otherwise, it can't make huge profit. Because then they don't have to fix anything that goes wrong with it. They claim water damage and get to sell you another one at inflated prices. Ah, a Tim Cook Apple... I don't think Steve would have let the indicator be placed on his phone like this for fear of it ruining his aesthetics. At least, unless it was somehow seamlessly integrated. An indicator that's easier to access is exactly that, an indicator easier to access. It can be triggered a lot easier now, so guess who's gonna be S.O.L. when it comes to warranties... Or wait, is this that Liquid Metal thing that was buzzing around a short while back? I don't have an issue with a company being a company. Yes they have to make profits and the business model of course is always going to be tweaked so that shareholders are pleased with the future direction looking like the company will make even more money. This is America after all, and Apple products wouldn't even be in demand unless there was a customer and consumer base that bought their products. My issue is with a company that prides and openly states its model is built around the customer, and then taking very clear actions that do not show that to be the case. Understandably they want a water indicator that will be more accurate and probably easier to service and harder to tamper with, but it ultimately points to the fact that Apple would rather pass on the cost to the customer. That very same customer who will most likely have an accident or incident with a phone that is very slippery to hold and use. Apple knows this. I don't think it is any stretch to say that Apple could tweak Apple Care or somehow design the devices to be more water resistant or even mildly waterproof such as the Nano-repellent coating that Motorola put into the RAZR series phones. That on the surface looks like Motorola is attempting to make a more consumer friendly device for every day life. Rotten Apple already, why does it still force its royal customers to smell it?